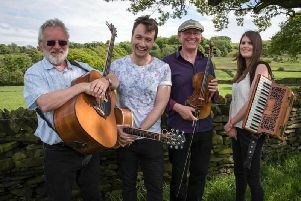 There is a Derbyshire Folk and Brass performance at The Pomegranate Theatre in Chesterfield on Sunday, February 19. It starts at 2.30pm and is an annual fundraising gala concert presented by Chesterﬁeld Theatre Friends. Patrick Rose has been a regular on the Sheffield folk scene for the past five years as a caller, singer and guitarist. His repertoire ranges from traditional folk song to the contemporary, focusing on the stories that are so prevalent in the English and Irish tradition.